Fancy a fancy morning coffee? Syphon coffee will probably take you back to your high school chemistry classes. But this is way better than any chemistry experiments, because you get to taste a smooth black coffee at the end! 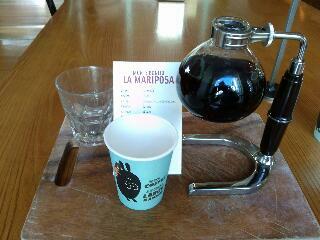 The coffee is heated then filtered through the round bottomed flask. Even A, who is not a fan of black coffee, really enjoyed it. Yes! Tick, tick! Did you know there is also a Shaky Isles at Auckland Airport? !